Pope Francis, who is currently head of the Catholic Church, has made history for quite a few reasons. First and foremost, he was elected last March while his predecessor was still alive. Beyond that, Francis was the first Jesuit pope, the first to have come from the Americas and the first to have come from the Southern Hemisphere. Despite all of these reasons why Pope Francis is unique, he has also become widely recognized for a series of remarks that some hope have opened the Catholic Church to change. It should be noted these recent remarks are not a total 180-degree change on behalf of the Catholic faith. Homosexual acts are still seen as sins, but the idea of being sexually attracted to a member of the same gender is starting to be painted in a different light. Pope Francis isn’t giving the OK for the gay community. The tenets of Christianity still label homosexuality as wrong. However, he is practicing yet another aspect of Christianity: forgiveness, and the idea that only God may judge. In addition to being more open on those matters, Pope Francis has also made statements regarding the expansion of roles for women in the church, a discussion on priests’ celibacy and increased communication with the leaders of other faiths. Across the globe, this change in attitude toward social issues is seen by many as much-needed progress for one of the most prominent religious institutions in the world. 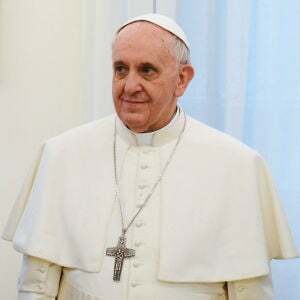 Yes, there is considerable support for Pope Francis from Catholics; a Pew poll in early September found that in the United States, 79 percent of Catholics view him favorably. There are also those who support the comments made by the pope, even though they do not practice Catholicism. Of course with any public manifestations of that faith, such as when a group’s religious beliefs seep into government actions or policies which affect all citizens, there will certainly be an issue of civil rights for violated groups. It can be tempting to try to impose the dominant views of society on religious minority groups, especially when the views in question are those of tolerance, acceptance and equality. Those temptations, though, are an affront to religious freedoms. And the Catholic Church, as an individual body, has managed not to infringe on people’s rights. However, its followers or believers, as in any religion, might sometimes interpret the sacred canon to allow for open hate and intolerance. What Pope Francis has done, with his recent statements and expressions of his views, is reduced the tendency for prejudice and opened the doors to Catholicism to people from all walks of life. In Pope Francis’s hands, the Catholic Church seem to communicate what Christianity is supposedly all about: love and acceptance. Though he and his church still follow the tenets of the Bible and of their Catholic religion, Pope Francis has made the Catholic Church even more of a global leader through his accepting, open-minded system.